In a videotaped deposition, Subway founder Fred DeLuca details the Destiny development partnership with developer Anthony Pugliese that ended in claims of fraud and breach of contract. West Palm Beach, FL—The founder of fast food giant Subway detailed the missed payments and alleged fraud that helped derail his partnership with a real estate mogul in a massive Florida development project, as trial over the failed project wrapped up its second full week. AP Destiny v. FD Destiny, 2009CA029903. 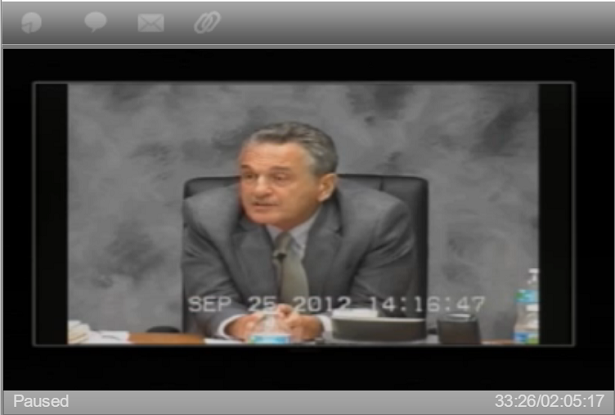 In two days of videotaped testimony played for jurors late last week, Fred DeLuca, the founder and former CEO of Subway, outlined his partnership with real estate developer Anthony Pugliese to develop Destiny, intended to become an eco-friendly community on thousands of acres of undeveloped land in Ocala. The partnership was formed in 2005, but by 2007, DeLuca said he had become disenchanted with Pugliese’s management decisions and alleged lack of oversight, which included the failure to discover that a portion of the land purchased for the project was a protected wetland that could not be developed. Disputes between Pugliese and DeLuca continued, with DeLuca allegedly refusing payment on the project for months in 2007 while a 2009 investigation implicated Pugliese and his manager Joseph Reamer in a fraudulent billing scheme to take more than $1 million from DeLuca. By 2010, the development project was in tatters, with DeLuca’s FD Destiny claiming fraud and Pugliese’s AP Destiny claiming breach of contract. Trial in the case combines the opposing claims. DeLuca testified a budget was put in place in 2008 and funding resumed, but by 2009 he discovered Pugliese had billed DeLuca for work that had never been done through a series of shell companies Pugliese and Reamer had established. “He said that he was billing the company for expenses that it had never incurred and that he was using fake companies for these billings so that he could reimburse himself because he thought he was entitled to that based on political contributions that he had made on behalf of the land company,” DeLuca said when asked about his conversation with Pugliese on the subject. Pugliese and Reamer pleaded no contest to criminal fraud charges stemming from the scheme. During opening statements earlier this month, Pugliese's attorneys acknowledged the scheme and told jurors Pugliese had paid the money back. Pugliese claims he set up the fraudulent scheme only after DeLuca breached his part of the agreement by failing to fund the project and after DeLuca’s associate Fred Florio warned Pugliese to set aside money for the project or face ruin. Pugliese argues DeLuca’s delays and 34 instances of failed funding destroyed the project. Stakes in the trial are high. In openings earlier this month, FD Destiny's attorney, Holland & Knight’s Rick Hutchison, told jurors he would request $40 million, while Willie Gary, an attorney for AP Destiny, told jurors “You may decide that a billion dollars in damages is not enough,” for his client. Trial in the case is expected to go into next week.